It’s a quiet thing, the Chrome Developer Summit, but the stuff being announced there could quietly revolutionize apps and app delivery forever. While that may sound like a pretty lofty statement, I don’t think it is that far-fetched at this point. 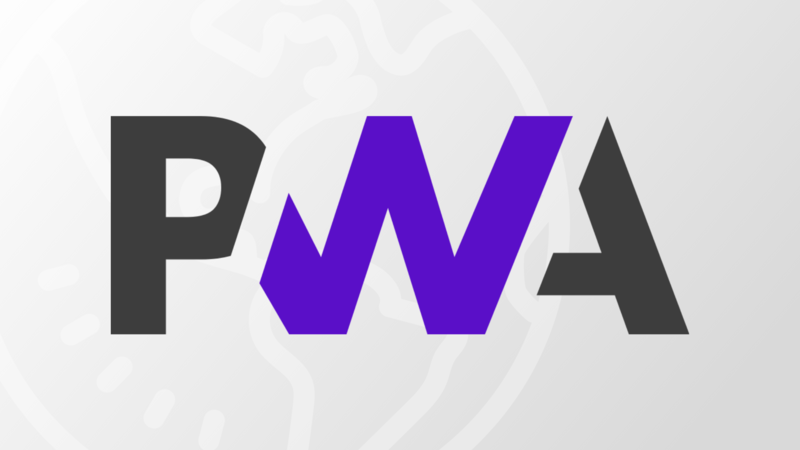 Progressive Web Apps (PWAs from this point forward) have been shaping up over the past couple years to take on more native app behaviors, gaining abilities like notifications and location awareness. But more has really been needed for them to fully take the place of native apps on general users’ devices. Imagine telling your non-techy family member that he or she needs to go to a website to get their next app. No Play Store. No App Store. Just a URL. The minute you start thinking about non-tech folks using PWAs exclusively, the more holes you see in their current execution. The fact is, we’re just not quite there yet. But this week’s announcements look to bridge the final gaps in PWA development and pave the way for a future where web apps are just as capable as their app store cousins. Let’s take a look at a few things Google announced that are making this a reality. We’ve talked about this before, but the move to the open web as an app delivery platform is pretty substantial. The way Google is approaching this is pretty amazing, developing tools that all browsers can agree on is paramount to web apps being the go-to delivery method of the future. In a scenario where Google only makes new toys for Chrome, we end up with a fragmented mess that no one wants to develop for. We plan to design and develop these new capabilities in an open and transparent way, using the existing open web platform standards processes while getting early feedback from developers and other browser vendors as we iterate on the design, to ensure an interoperable design. Per our practice of open design and public iteration, look for many proposals for new designs to surface at the W3C’s Web Incubator Community Group. The minute all browsers support the same functions and abilities, the web becomes the largest, widest, and most scalable platform for development. As we’ve seen with game developers like Epic, you can distribute apps outside the standard ecosystems and survive. Web apps will make this a reality across the board and pave a way for a future where it doesn’t matter what device, operating system, browser or app store you use: one app can be written for them all because they can all leverage the open web. Now, back to the new stuff Google is doing. Web Share Target – This one is fairly simple to grasp. Just like your native apps have native sharing functionality, PWAs will now be able to do this exact same thing across mobile and desktop. So, just imagine the way you’d expect to share from an app on your phone and know that you’ll be able to do the same right from a PWA soon. Wake Lock – This feature will give apps the ability to keep the screen awake if needed. There aren’t a ton of use-cases that immediately spring to mind, but there are apps that need to keep your device from falling asleep and ruining your experience. PWAs will soon have this ability as well. WebHID – I may be most excited by this one. Right now, the lack of WebHID hinders apps like Square Cash or Paypal from really feeling native since they can’t use your biometric security features. If forced to use the PWA for Paypal, for instance, you currently wouldn’t be able to log in with your fingerprint. WebHID will change this and make for a future where we may finally be able to log in to most web services with a touch of a finger or a scan of our face or retinas. Writable File API – With obvious user permissions, Writable File API will allow web apps to finally be able to fully access local files on devices. This is a massive step that will allow for all sorts of creative software to be written for the web and interact in a fully native way across the board with things like auto-save. This one is a big deal. PWA Support For Windows and Mac – Curently, MacOS has no real PWA support. With a target of Chrome 72 (we’re on 70 now), we’ll see full PWA support for MacOS moving forward. Windows has support for this already, but being able to deploy a single desktop app via the web to both Windows and Mac is a big step in the right direction. It will take some time for all these changes to make it into final production and even longer for developers to really start leveraging them. We’ve dropped in a video below from yesterday’s keynote highlighting a huge web entity – Pinterest – that is already taking the evolving platform of the web seriously and is already leveraging many new tools to deliver a fantastic web experience to its users. The key takaway? It is working well for them. With the bevy of new tools and abilities coming in the near future, it wouldn’t be surprising to see web giants starting to finally return full focus to their web interfaces and shift focus away from their native apps. As larger properties do this, smaller ones will also follow suit. As the web finally gets to realize its full potential as an app delivery service, the way we use, download, and leverage apps on the web is set to change forever.